Your IPv4 address is a series of numbers and dots, the string of numbers is separated by the dots into four sections, and not all IP addresses have the same number of digits. Your IP address identifies one computer, or one "host," as they're referred to on networks. Every device on a TCP/IP network has to have its own IP address. Even if you always identify your computer by its host name, you will also have an IP address linked to that name on the network. Why go by name? Because in a lot of instances, the IP address might change for any one host. Imagine keeping tabs on every IP address that can change at any time for hundreds of hosts. By creating what's called a "hosts file," which lists computers and printers on the network by name, you and your network administrators will always know which computer or printer you want to interact with. Your IP address and everyone else's is made up of four fields of numbers separated by three dots. (Go to the WhatIsMyIPAddress home page to see yours right now.) You can read each field as its own number, which can range from 0 to 255. An IP address could be 66.171.248.172, for example. Although you can't see it, the IP address has imbedded in it both a network part and a host part. Every computer on a network will have the same network number, but will have its own host number. Depending on what class of IP address a network falls into, the network section itself could be made up of one, two or three of the four fields. There are four classes of IP addresses, although only three are of any significance. There are very large organizations that serve millions of hosts on their networks, and there are smaller companies that serve a several hundred or fewer computers. Class A Networks: These are for extremely large networks and, therefore, extremely large organizations. In theory, only 126 networks are possible, but each network could handle more than 16.5 million hosts! All IP addresses in a Class A network start with zero. Class B Networks: Class B networks are very large, but nowhere near the size of a Class A network. A Class B network—there are more than 16,000 of them—can handle more than 65,000 hosts. A larger company, or maybe a larger university, would be a Class B network. Class C Networks: There are more than two million Class C networks, which makes them the most common type. A Class C network can have up to a maximum of 254 computers (hosts) on their networks. There is a Class D network, but it is used for multicasting only, which is a special broadcast that works only on the Internet instead of TV or radio. With the information you just read, you probably know more about IP addresses than 99% of the people around you—and that only scratches the surface of the topic. 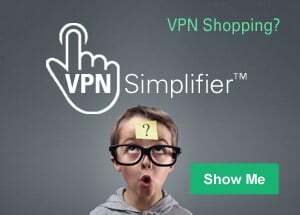 So isn't it nice to know that all you have to do to go online is turn on your computer on, click on your browser, and let your IP address and Internet connection do the rest?